I was just thinking of getting a new TV for my better half. Knowing that she would love to explore new technology, I was looking at getting her something contemporary instead of a conventional TV. 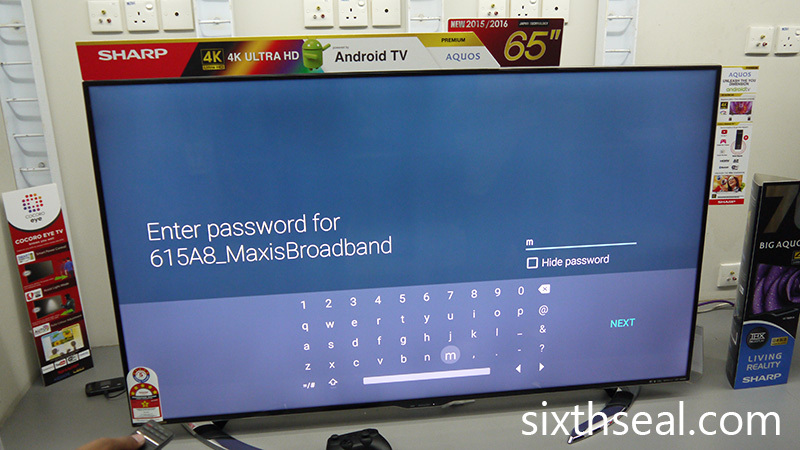 My place is actually quite near the Sharp-Roxy Sales & Service Company’s showroom, I dropped over last week to look at their latest AQUOS range and while I was browsing, I was introduced to their latest Ultra HD 4K Android Digital TV. These are the sets that just launched on the 10th of August 2015. This is the top-of-the-line 65″ UE630X series with 4K/UHD resolution and their proprietary 4K Master Engine Pro chipset. The colors are immensely rich with deep reds and vivid greens – there’s a 14% improvement over their previous flagship 4K offering and you can visibly see the difference! The 4K TV is also powered by Android but it’s not the previous generation Android that was made for phones, and thus looks like a smartphone interface. 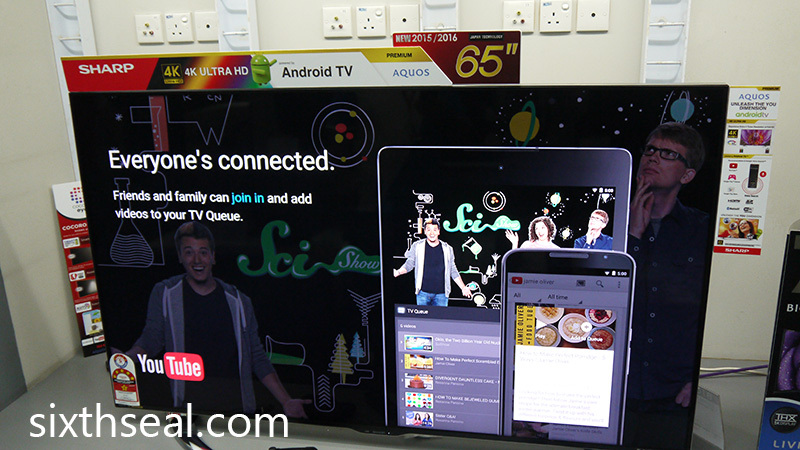 I’ve seen that system and it had a lot of problems with some apps since it was made for a smartphone instead of a TV. 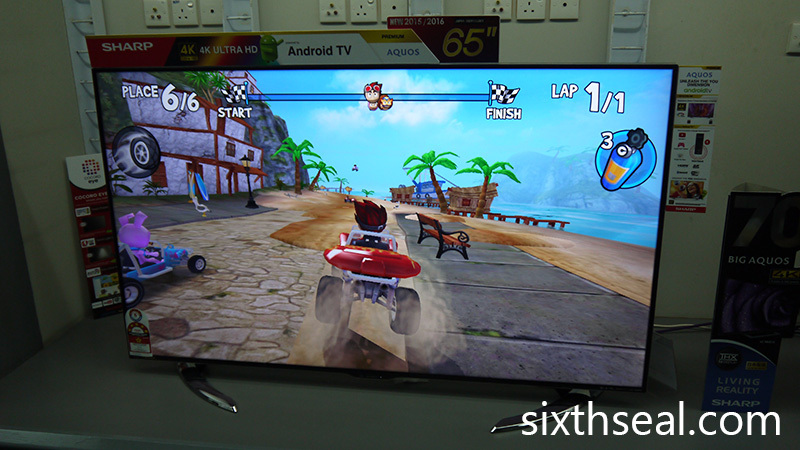 Now, the new AQUOS LED 4K TV runs AndroidTVTM which is tailor-made for a TV experience. 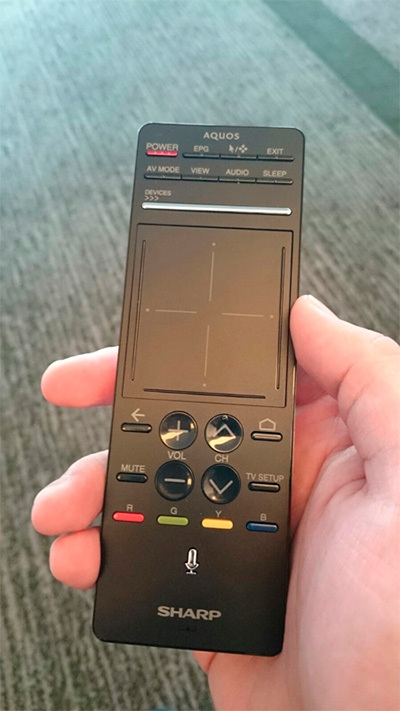 This is very important as the interface is MUCH slicker and easier to use with the provided remote (which also has a combination touchpad in the middle). You can log into Google to instantly see the latest videos, songs and games you’ve played right as your Favorites and on top for ease of access. 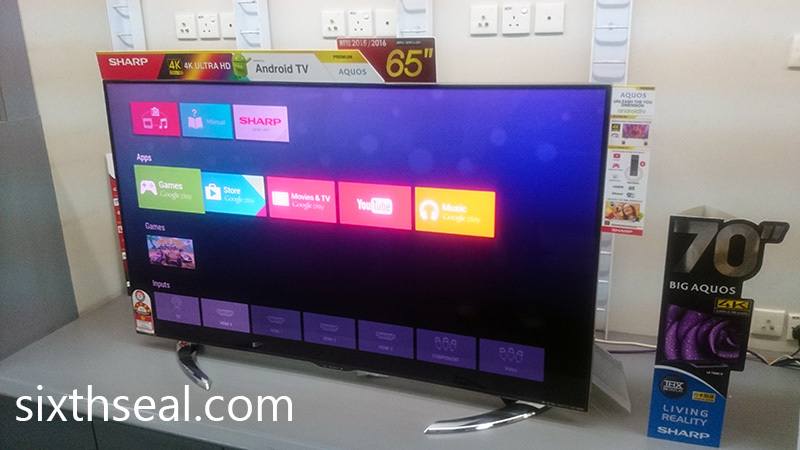 Best of all, you can connect your smartphone to the Sharp AQUOS 4K UHD TV and it will act as a remote control! 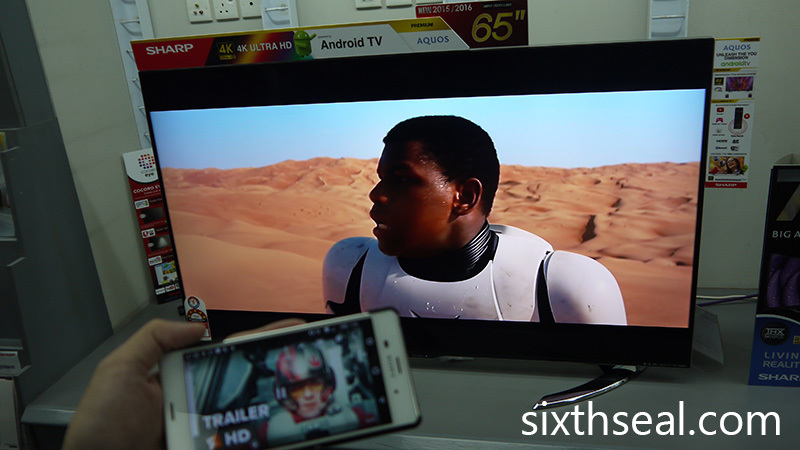 The user interface is also improved and the experience of navigation is very easy and intuitive with the new AndroidTVTM OS. This is made for television and it feels like it was made for your remote (instead of a smartphone) – bigger icons, better organization, slicker navigation. 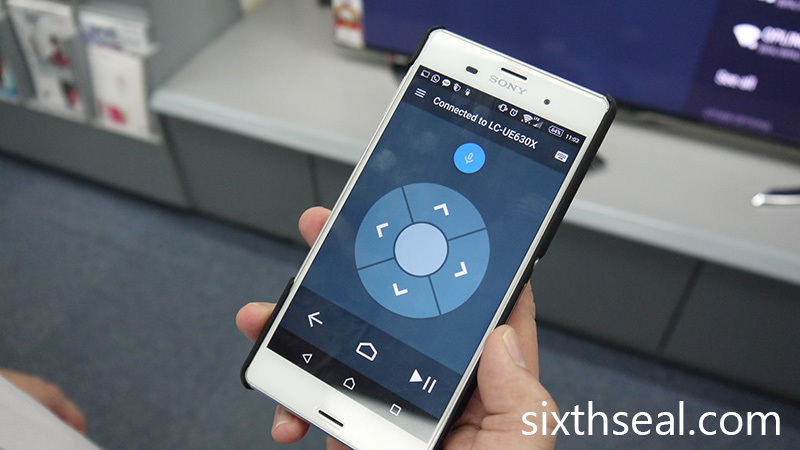 I love how the Sharp AQUOS TV remote also has a Voice Search. Yup, this is the very same Google voice search so it already recognizes your voice. I just had to press a button and say “NOFX” (it’s pronounced “No Eff Ecks”, as in “No Effects” not “N-O-F-X” and the Voice Search got it right the very first time and showed me the YouTube videos of my favorite band. 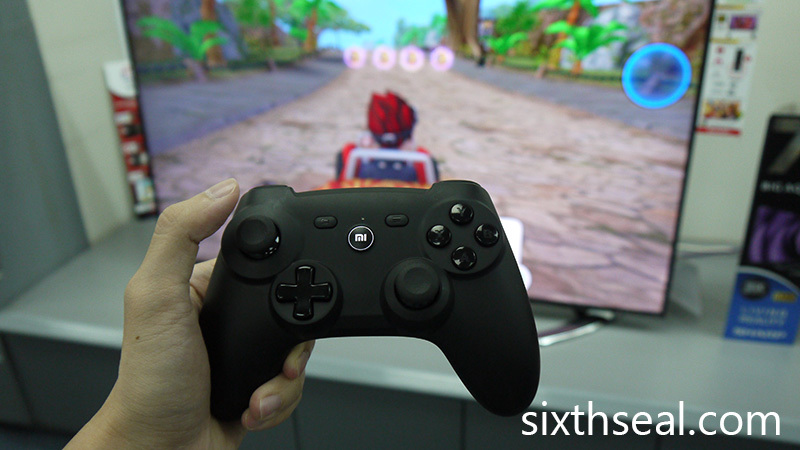 I can also use a third-party controller to play games. This is hooked up via Bluetooth and it works perfectly while I’m playing Google Play Games. 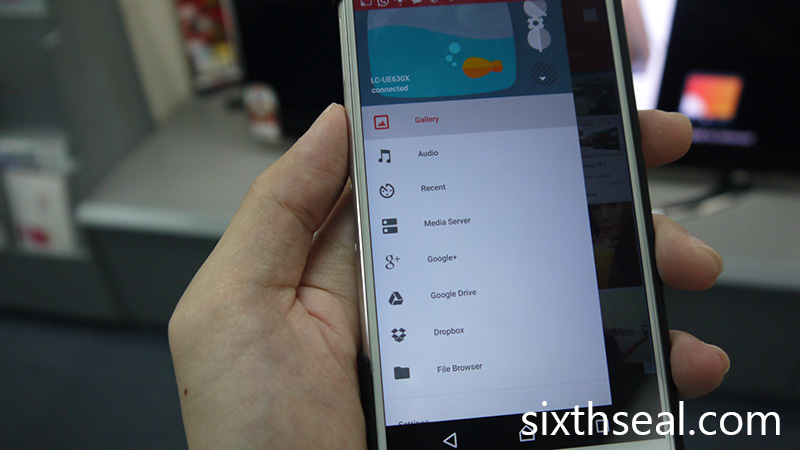 Your smartphone can also be used to view photos and videos using Android Cast. You just need to connect to your home WiFi for this media server feature. 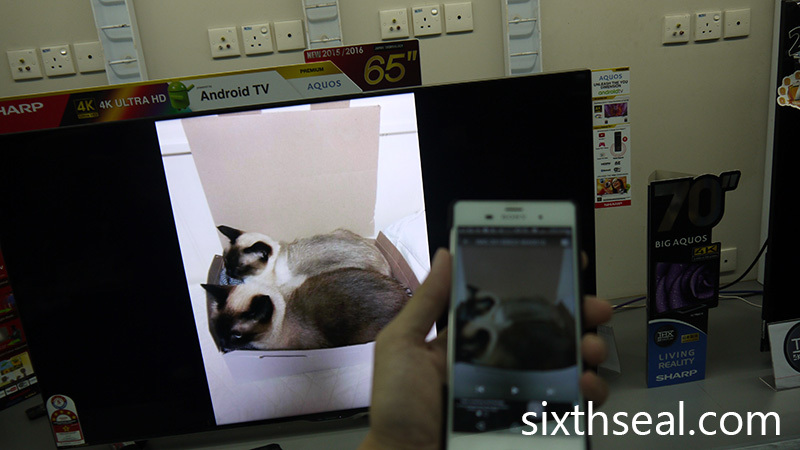 This mirrors, or rather, casts the content of your smartphone to your TV so you can view it in a larger format. 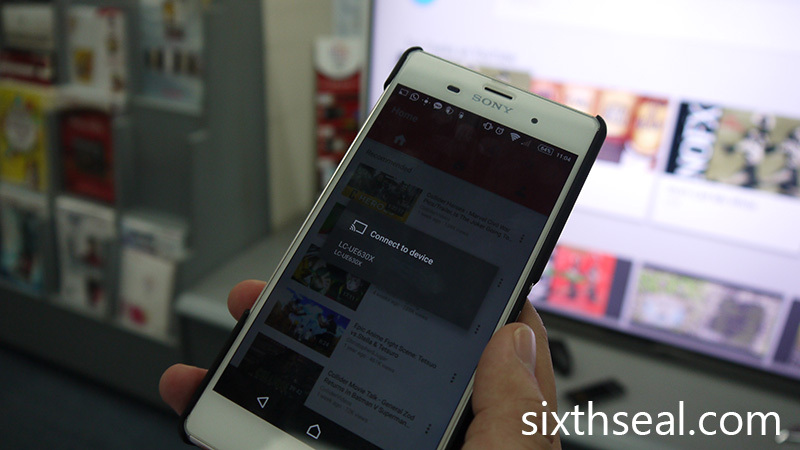 You can cast just about anything from YouTube videos to the pictures you took using your smartphone. Yes, this also includes the stuff you have in Google Drive and Dropbox – it can stream files in your cloud storage too. 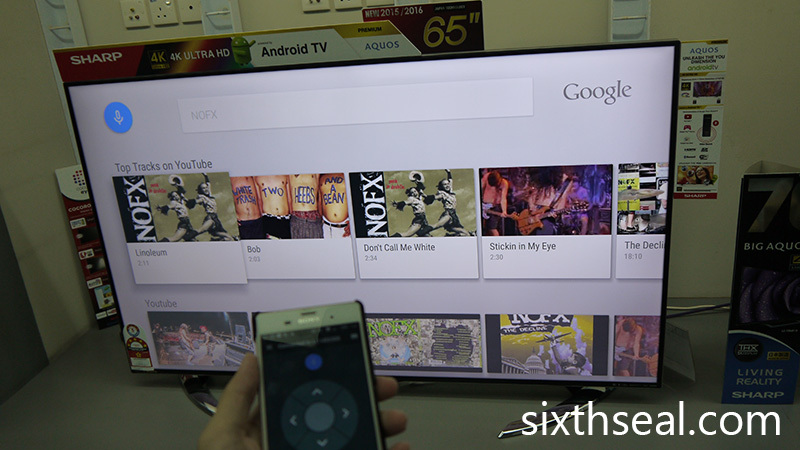 The Google Cast feature is not just limited to Android smartphones but also to iPhones and other iOS devices like your iPad! You get the benefit of full 4K resolution when watching YouTube videos filmed in 4K and play games at 4K resolution too. 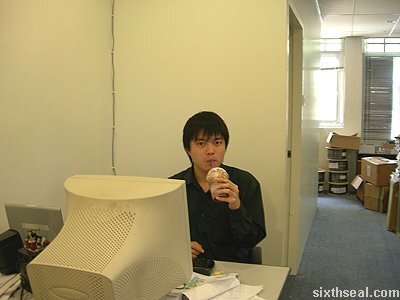 My first job was as a programmer in an agency. I just graduated from Australia and started working in KL barely a month after that. 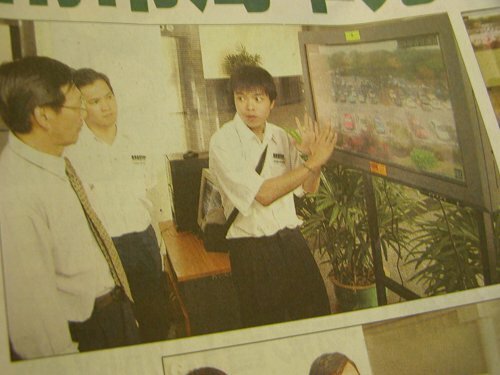 Anyway, not six months after, I was introduced to some people in Kuching who wanted to start up a company. I went, listened to what they were about to do, chipped in with a couple of my own ideas and believed so much I was one of the five shareholders in the company. It was the best job ever. Well, since I was one of the shareholders in the start up as well, it wasn’t merely a job but rather a joined entrepreneur endeavor. 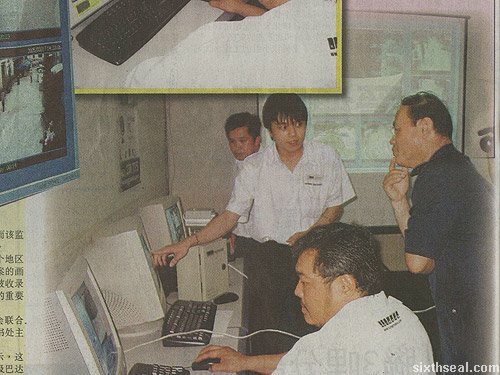 I was a System Engineer (at least that was my original title) but we were doing a lot of R&D. It was just me and the CTO coming up with all sorts of weird stuff (some groundbreaking and some totally useless). Heh. ¼ of my time was spent doing presentations to clients, ¼ out on the field and the rest in the office tinkering with stuff and doing decks. It was a lot of fun and I worked in that company for close to four years before I cashed out all my shares. The best part is believing in what you’re doing and being a part of a start up. I haven’t worked in the technology line since but I fondly remember those days. It was the mixture of entrepreneur spirit and coming up with innovative ideas that made those days so heady. I’ve always wanted to be involved in another start up and if you’re a budding entrepreneur too there’s a perfect chance coming up! Make The Pitch is a reality TV show where you pitch (thus the name) your idea to a panel of investors. If they like your idea and think it’s sound, they’ll personally invest in it and help you achieve your dreams! You’ll need to be 18 years and above and it’s open to anyone (even if you don’t have a company – just a solid idea will do). The best thing of all is that there’s no age cap so old farts like me can still enter. ;) There’s no limit to the number of winners and if you find that you’re strapped for time and don’t have a detailed proposal, you can attend the auditions with a brief outline of your idea and you’ll still get a chance. The confirmed panel of judges hail from RHB, MDeC, MyEG and Cradle (yes, the investment fund for technology). Want to make it big? Fire your boss, start coming out with a winning idea and impress the judges at the auditions. Get more information about the show and find out where the auditions will be held at the MyEG Make The Pitch site. I won an LCD TV from Sony Style! I won a Sony LCD TV from Sony Style. It’s from this contest the good people at Sony entered for me when I purchased my dSLR. The lucky draw gift I snagged is the KLV-20S400A BRAVIA LCD TV. 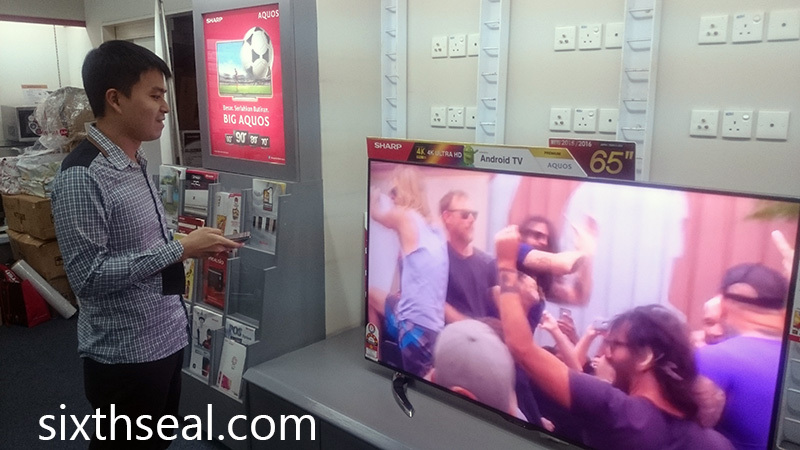 It retails for RM 1,799 and it’s a flat, compact LCD TV which you can also use as a monitor. Check out the specs here. It’s brand new (just picked it up last Sunday) and unopened and comes with the full Sony warranty. I need cold, hard cash more than a TV to get through the month (please refer to previous post) so I’m planning to sell it. I’ll let it go for RM 1,300 (RM 500 cheaper than retail) but before I list it on Mudah.my I’ll give anyone who reads my blog the opportunity to purchase it for RM 1,200. Email me if you’re interested. I’ll even cut a deal with you for more discounts if you’re a blogger (Terms & Conditions apply of course ;)).